Meet the men and women who have a passion to improve their country— for good! Our goal has always been to work ourselves out of a job—training and equipping local people to overcome the problems faced by their communities. Why? 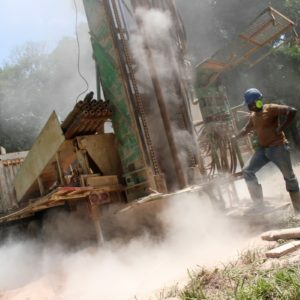 The hard truth is that long-term, it is not sustainable for a US-based non-profit organization like Water for Good to do all the drilling and maintaining of water wells in the Central African Republic (CAR). So, what’s the solution? Building local water businesses. 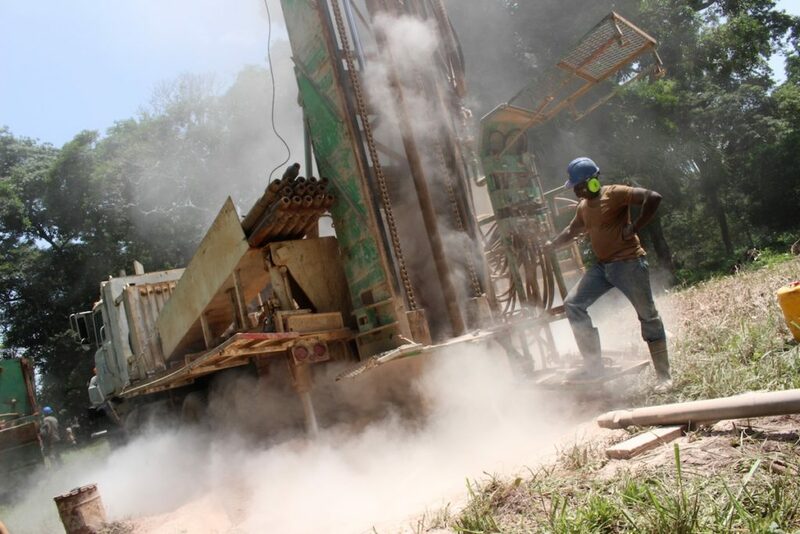 We have already taken one major step: establishing the first local, Central African-owned water well drilling business. The new for-profit business is led by Marcellin Namsene, our former head of well-drilling operations. 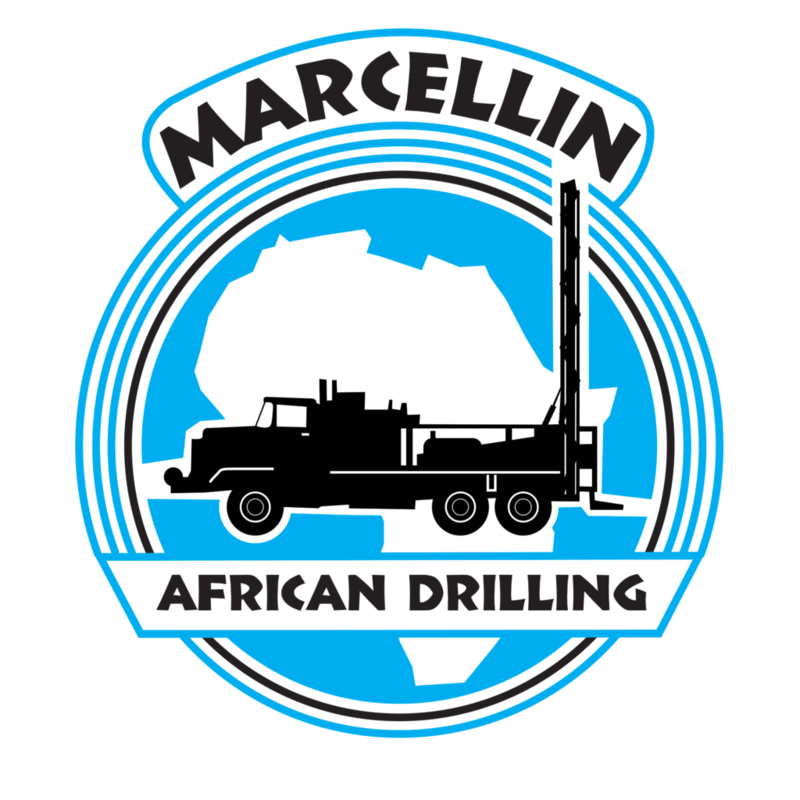 When implementing a new well project, we contract his business, Marcellin African Drilling (MAD), to do the work, using our equipment. MAD can also pursue their own local contracts. In these cases, MAD leases the vehicles and equipment from Water for Good. Please join us on the journey to build local, Central African businesses that are able to thrive and provide water to everyone in CAR, now and even in the future without Water for Good. Marcellin grew up in Yaloké—the same town where Water for Good founder Jim Hocking lived for 18 years. When Marcellin was 13 years old, he lost his father in a car accident, leaving him and his siblings to provide for the family. A bloody civil war in 2003 made things even more difficult. 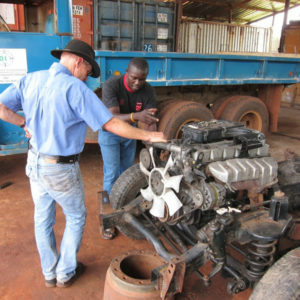 But, from the beginning, Marcellin was always an entrepreneur—from selling Kool-Aid in the marketplace with Jim Hocking’s son, to operating a roadside household supplies shop, to running a small trucking business with an old family pickup—his resourcefulness and perseverance have allowed him to not only help himself and his family, but others as well. 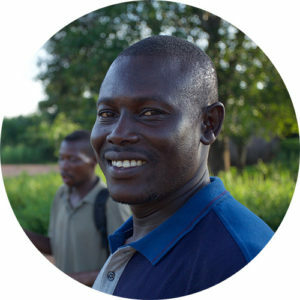 In 2004, after the civil war, Jim Hocking founded Water for Good, and hired Marcellin as a driver and mechanic for the fledgling organization. 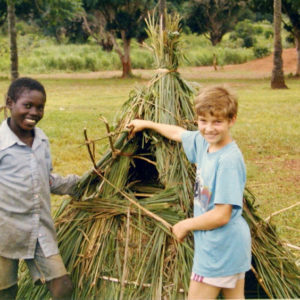 Marcellin was intrigued by Water for Good’s vision to help orphans (since he himself had lost his father) and provide community development programs. 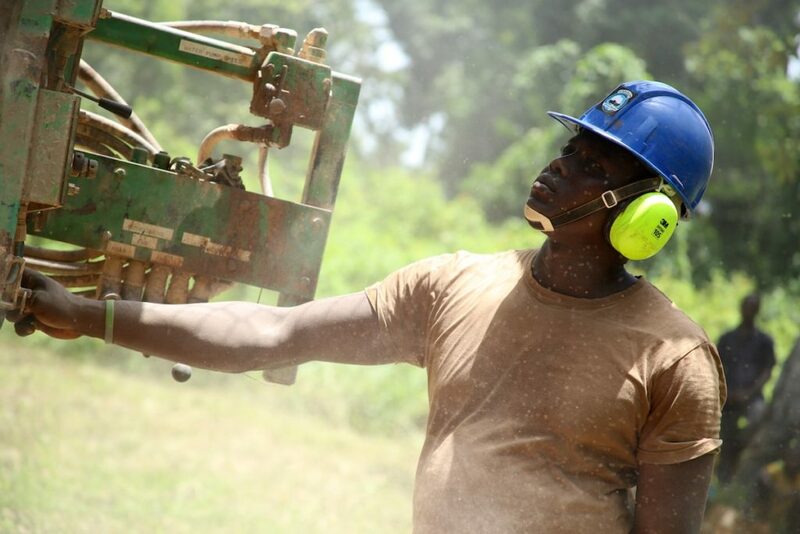 Marcellin soon moved over to the well drilling operations as an assistant well driller, where he spent a few years learning the ropes before he was promoted to head of well-drilling operations. Marcellin travelled around the country with the well drilling teams, and he slowly realized that the water wells he’d taken for granted in his town were not available in most villages in his country. “When I re-visit wells that Water for Good has drilled I can SEE the difference that the clean water makes in people’s daily lives” says Marcellin. And Marcellin is in it for the long-haul. “In 30 years I want to be able to show my grandkids villages that STILL have clean water that my team and I have provided” says Marcellin. You can make Marcellin’s vision a reality. 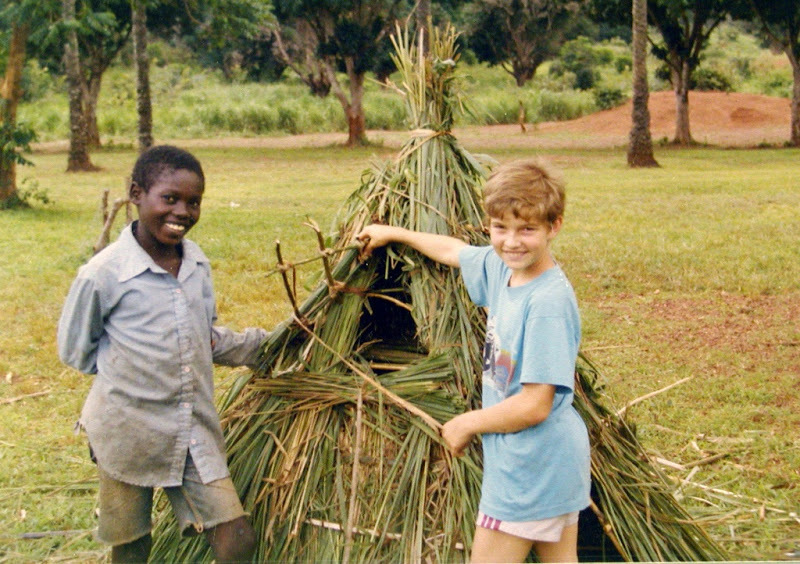 Marcellin & Jay Hocking (Water for Good director of communications) grew up together in the town of Yaloké. 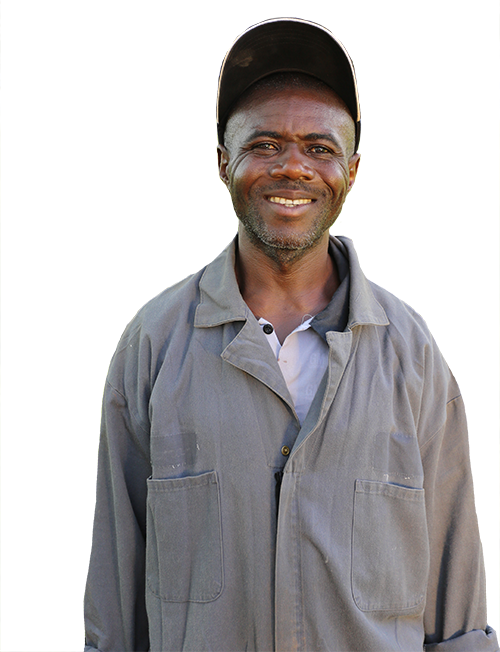 Marcellin worked his way up through the company, learning how to do every aspect of the work. He's drilled hundreds of wells himself! 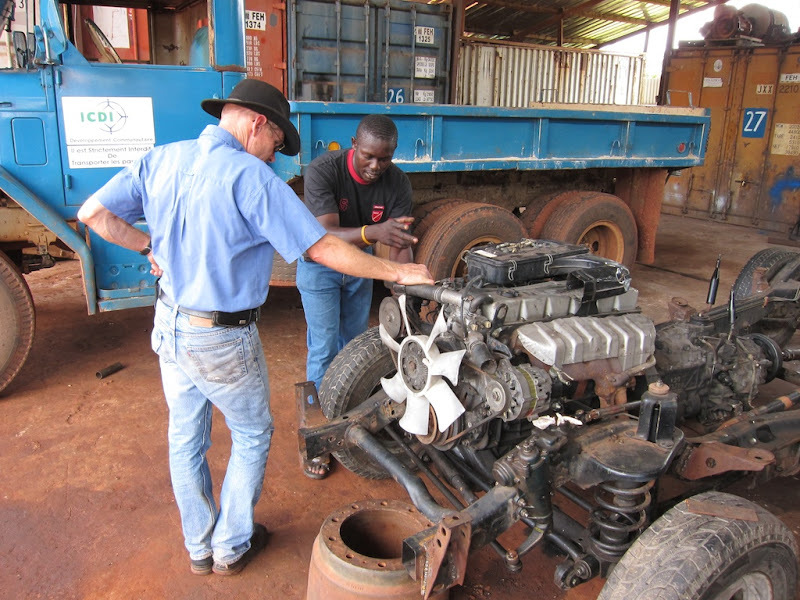 Marcellin talking through a vehicle rebuild with Water for Good founder Jim Hocking. Since 2015, Water for Good has done all drilling projects through Marcellin's for-profit compnay, Marcellin African Drilling. 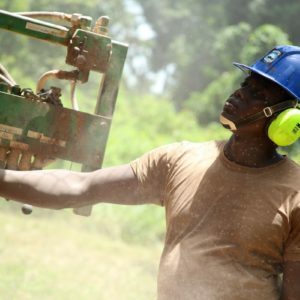 Right now, our local technicians keep the clean water flowing for ½ million people across the Central African Republic… check out what it’s like to walk a day in their shoes.